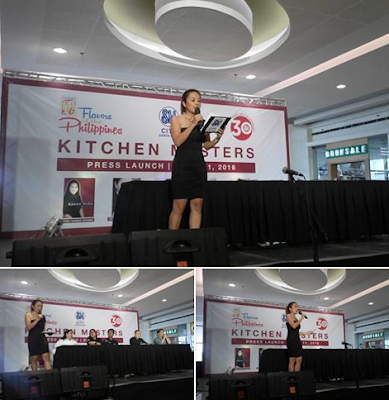 Last Monday, the cook off battle dubbed as Kitchen Masters was formally launched at SM City Sta Rosa. Five Laguna-based chefs face each other in a culinary competition built around specific theme ingredients. 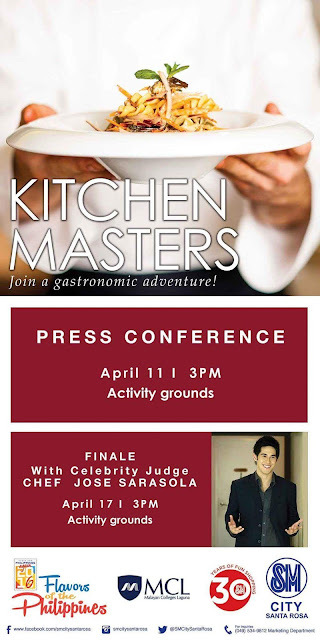 Aside from an opportunity for the Laguna Chefs to show off their cooking skills, Kitchen Masters offers mentorship and training opportunities for novice chefs. 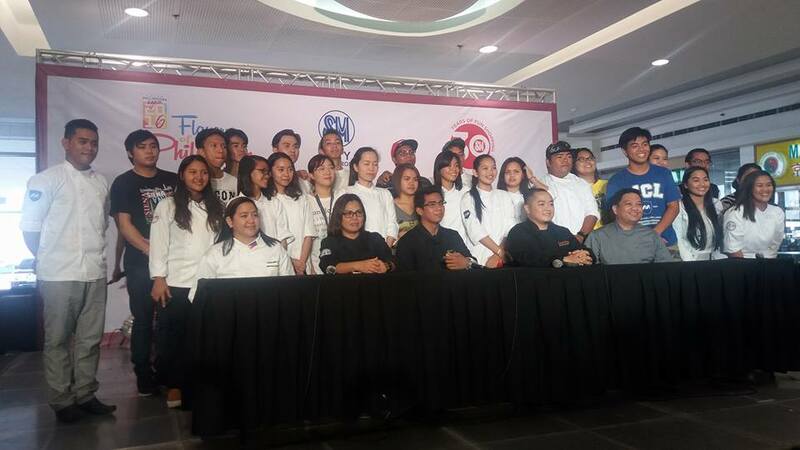 Participating MLC students may tap into the knowledge of experienced mentor chefs as will each have a team of 5 apprentices who will help them prepare dishes highlighting ingredients from Laguna ---Itik, Paco and Kesong Puti. Chef Karen Nina Villaflor - she finished culinary arts and baking at Global City Innovative College. Chef Karen works as a Sous Chef at Buttero, an Italian and Bistro at Taguig City for the last 2 years. Chef Cherriza Canlas Filamor - she holds a diploma in Professional Culinary Arts and Baking Party Arts from the Global Culinary and Hospitality Academy. 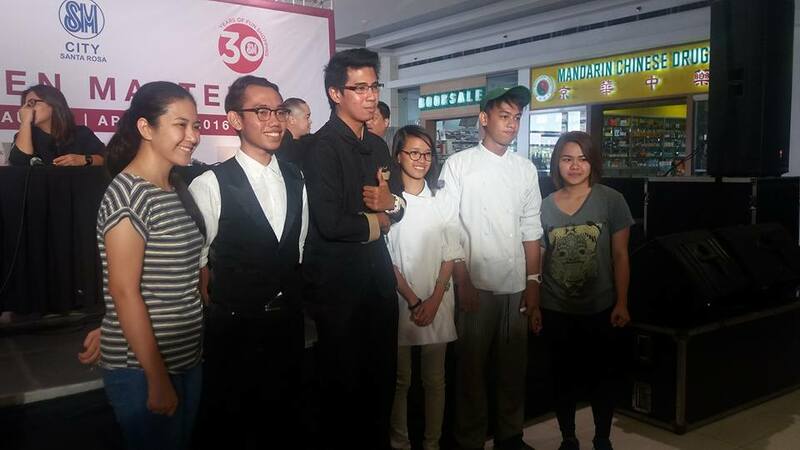 Chef Emmanuel Recio - At 25 years old, he is the youngest among the group. He owns a French and Italian cuisine in Santa Cruz Laguna, known as Le Chef Emmanuel. He used to work at Madeleine French Bakery in Al Khobar, Kingdom of Saudi Arabia. Chef Von Byron M. Ebron - He is currently the head chef and operations manager of Bonitos Bar and Restaurant, and acts as Red Brick House's corporate secretary. 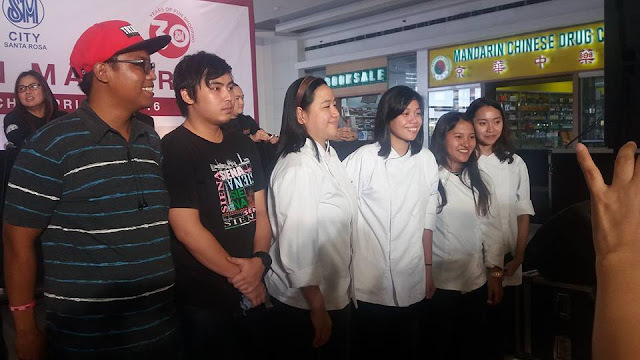 Chef Roel Rodrigo - He is a Professor at Malayan Colleges Laguna. He holds numerous degrees which include Doctor of Philosophy in Educational Management, MBA and Bachelor of Science in Hotel and Restaurant Management. Watch out for the winning team as the Kitchen Masters battle culminates this April 17 at SM City Sta Rosa.